I was at a lovely dinner party, when conversation turned (as it often does in my presence) to weird coffee. As we retired to the drawing room, the party’s host — a culinary master with experience in flavours both traditional and exotic — mentioned that she had procured a jar of an unusual beverage additive. She could not risk her life by telling me which underground market in which Asian country she had smuggled the rare florets from. However, she did let me take some, in order to distill it into my own elixir. I cannot read the codified script on the jar, but I am told these are dried flowers of some sort. They also appear to be shrunken. Although originally created to add zest and vitality to tea, my specialty is in the transmutation of coffee. I used black coffee with a small dipper full of sugar. I had trouble getting over the dead-June-bugs-in-a-puddle look, but once I did, the taste was not the least bit unpleasant. It was quite like sipping coffee among the flowers of a botanical garden. Or like putting a dab of perfume in your morning brew. Except less poisonous. I could feel my spirits lifting and my humours balancing almost immediately. 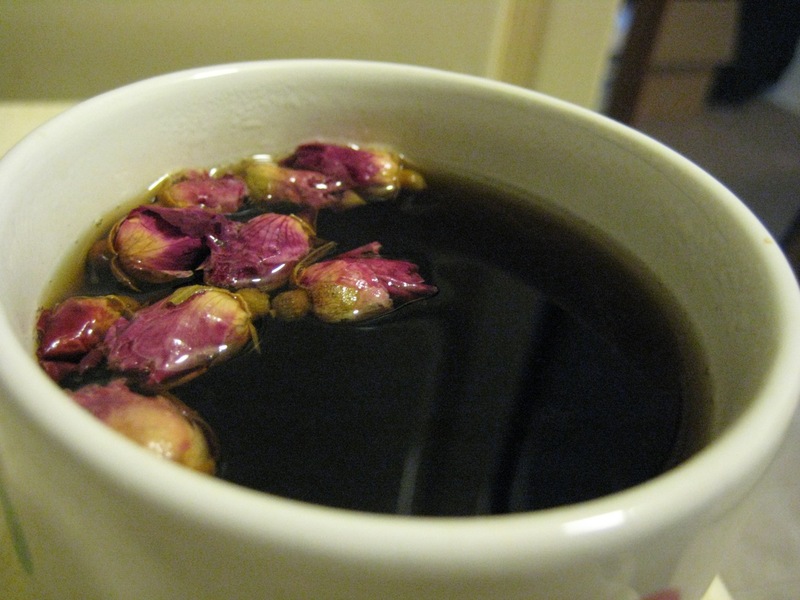 Perhaps for Valentine’s Day I will sprinkle my true love’s coffee with ground up rose petals. Wouldn’t that be romantic? P.S. I cannot explain the style this post is written in. Thanks to Vivian for the flower things. 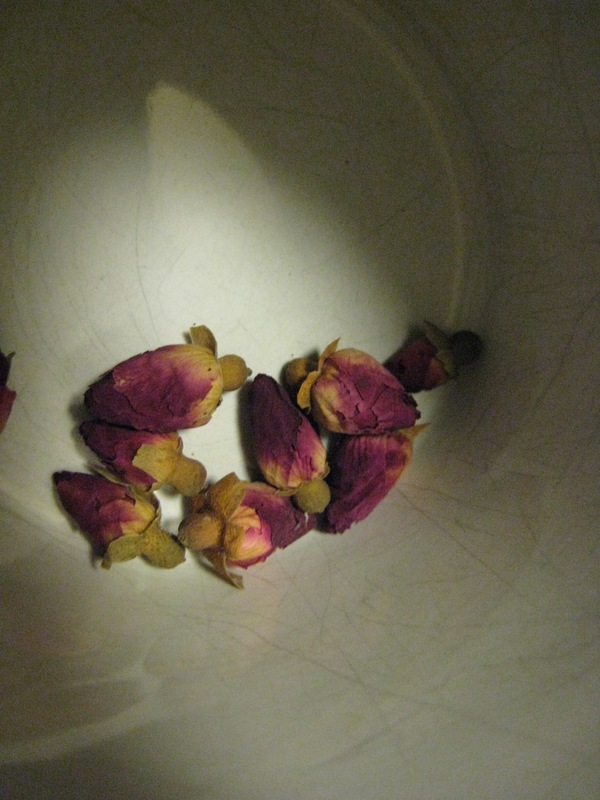 You can probably find dried rose buds(I think that’s what these are) wherever unusual foods are sold. I bet it would taste good! 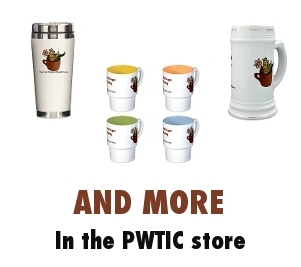 Although it’s not hard to find similar additives – just go to a store that sells loose-leaf teas and herbal blends. You can usually find a few that include dried flowers. The jar says they are roses. This is my first comment. 🙂 I love this blog but have never felt the need to comment until now. 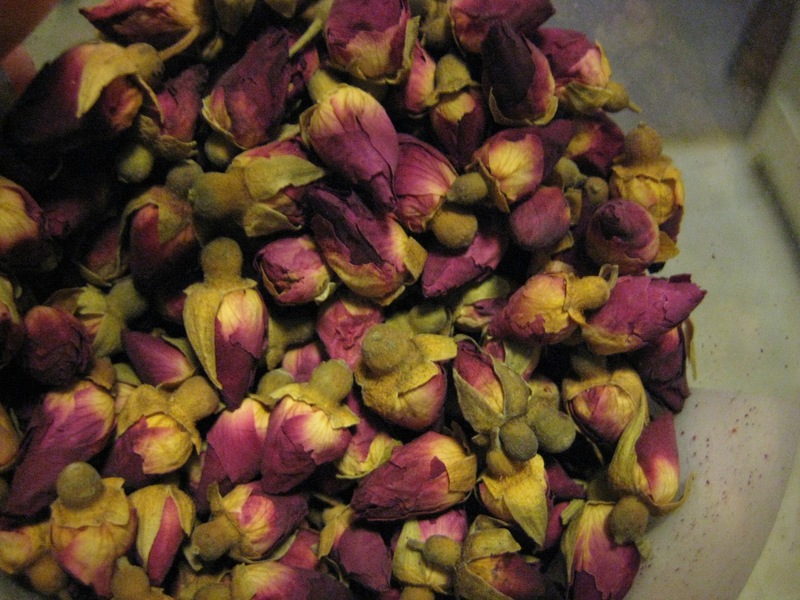 I get mine from Vital Tea Leaf in Seattle – the Siberian Rose blend. I’m not sure if its rare, I think like Hannah said, any tea shop that focuses on herbal loose-leaf tea would have it. Rose hips! They make rose water! This is my first time coming across this blog and I thought it was such a great concept that I had to comment 🙂 I’ve always ordered my coffee through places like http://www.cheapercoffee.com and drank just black, pure coffee. But I may have to start experimenting! 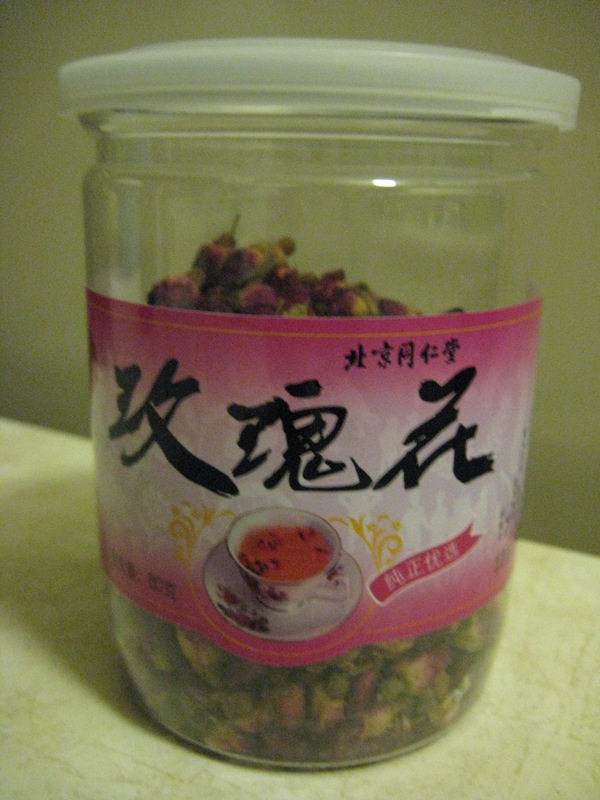 The jar says it is dried rose sold from a Beijing specialty shop. It is a chain that specializes in selling pricey Chinese ingredients like Bird’s Nest and Antlers.